Developed in response to requests for an energy monitoring and performance dashboard platform, SIPe server is an easy-to-implement efficient solution that pulls energy, utility consumption and any other data types from SIPe meter loggers or a metering system together in an easy-to-use portal. Unlike many solutions which are subscription-based, SIPe server uses a simple licence model per user. The system can be configured as required, even across multiple sites accessed via your own server. Fully customisable, the dashboard and widgets can be designed to your specific needs meaning you can tailor the look and feel to your specific requirements at the specification stage. The SIPe server solution not only monitors and displays energy and utility data but also any other types of data can be displayed on the dashboard. 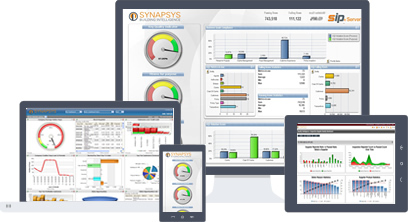 Working closely with Synapsys at the specification stage ensures we understand your requirements and you receive the dashboard solution fit for your needs. 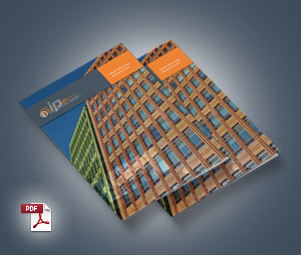 For more information about our SIPe Server solution please download our information sheet or alternatively to speak with us in more detail please email us or call us on 01444 246 128.